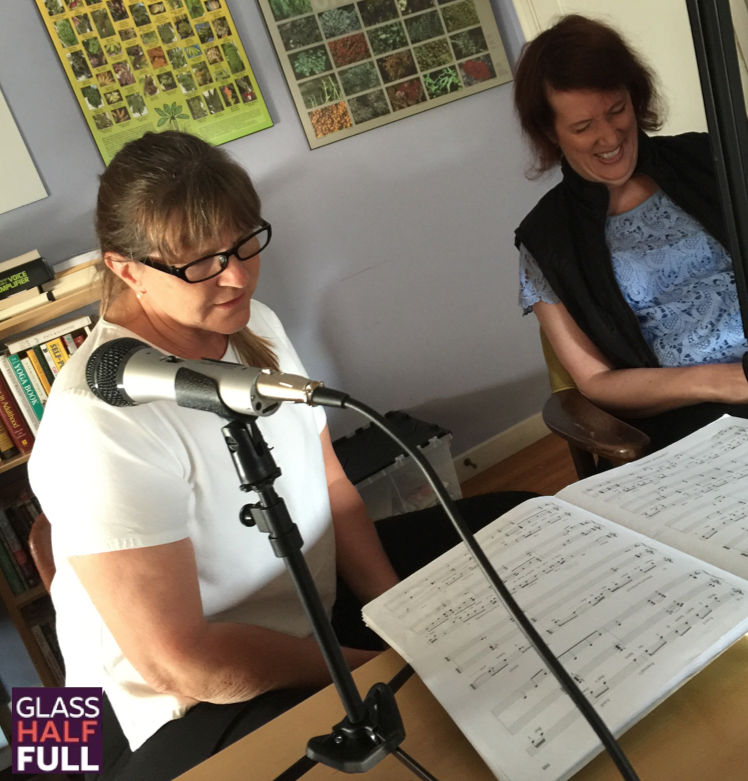 Music gives me a peace bubble – Glass Half Full with Leslie Krongold, Ed.D. This podcast episode features a music philanthropist — Amy Ream. From the age of 5 Amy studied classical piano but when symptoms from myotonic dystrophy impacted her hands she turned away from music. Quite recently she returned to her first love using a different instrument — her voice. Amy and her voice instructor, Marcelle Dronkers, entertained me and you get to be a fly on the wall. Amy’s next recital is in April 2017; here’s a sample from a previous recital.